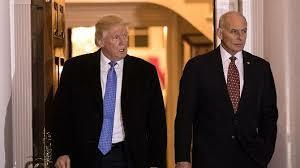 Donald Trump, the right wing populist and John Kelly, the military man. One is the right wing, proud-to-know-nothing populists. That is Trump being Trump. As the article says, “Other aides bemoan his tenuous grasp of facts, jack-rabbit attention span and propensity for conspiracy theories.” That’s that 32% that still supports him, come hell or high water. Kelly also insists on the right to listen in on all telephone calls to Trump in the White House. We should remember that General Kelly is the one who praised the Confederate generals of the Civil War. The article comments: “Mr. Trump expected being president would be like — ruling by fiat, exacting tribute and cutting back room deals.” Will he be able to become an outright Bonapartist?